Your site can have as many pages and sub-pages as needed; we place no limits whatsoever on the number of pages that can be added to a site. 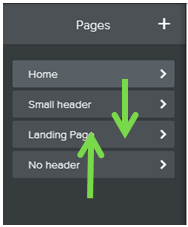 Creating a new page is a matter of going to the Pages tab and clicking the + (plus) sign. Standard Page - This is the option you will use most often. Standard pages are the basis of your website. Blog Page - Most sites only have one blog page. 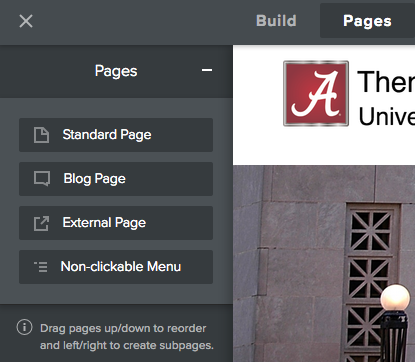 External Page - This creates a link in your top navigation to an external website, such as ua.edu or your college home page. Category Page and Product page are used for sites that use the Store features (as in selling things). The Non-clickable menu is not accessible. For now let's focus on creating Standard Pages. 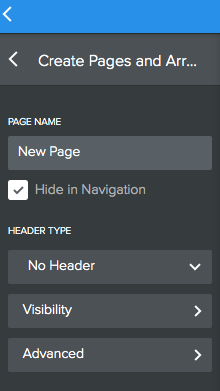 There are a few settings you can change for the new page. Namely, you can choose what type of header it has and adjust the visibility. 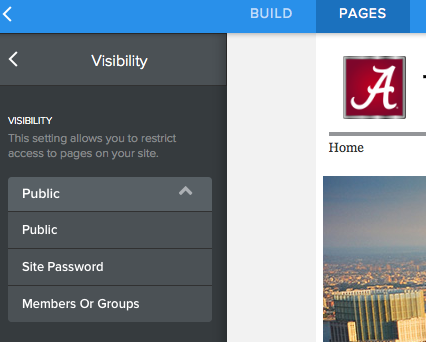 Visibility allows you to restrict access to the page. The three choices are Public (everyone can see it), Site Password (only those with the password can see it), and Members or Groups (only certain members or groups of members can see it). 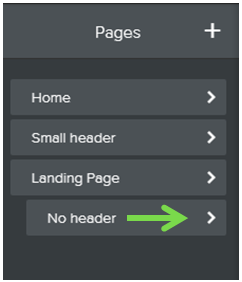 You can create sub-pages by dragging a page or pages underneath and to the right of another page. These sub-pages appear in a drop-down menu when you scroll over the page to which you connected them. To edit the content of a page, just click on its link from the navigation menu or go to the Pages tab, select the page from the list and click the Save and Edit Page button. Now let's learn how to edit the header image. Choose your theme style: Edit the Header Image for standard themes. 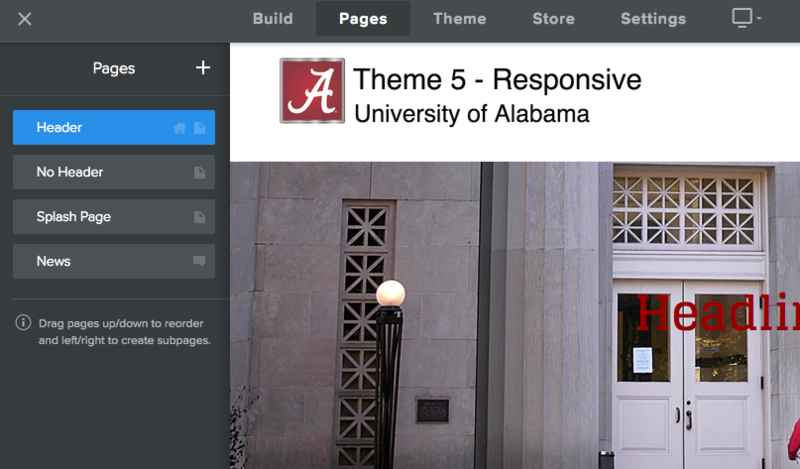 OR Edit the Header image for responsive design themes.